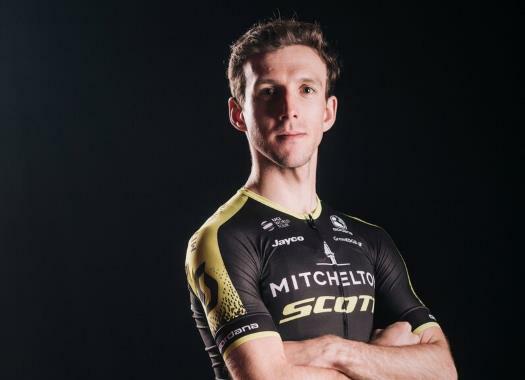 Mitchelton-Scott has had a successful day at the Giro d'Italia with Esteban Chaves winning the stage and Simon Yates finishing second to take the Pink Jersey. The duo arrived together at the finish line after the difficult ascent of the Etna. The anticipated stage with a finish on the Etna was 169 kilometres long and featured a climb of the first category at the finale. The first 50 kilometres had several attacks that were repelled by the peloton until a total of 28 riders managed to create a gap with a second group. Riders like Esteban Chaves, Jack Haig (Mitchelton-Scott), Sergio Henao, David de la Cruz (Sky), Sam Oomen (Sunweb), Diego Ulissi (UAE Team Emirates) and Robert Gesink (LottoNL-Jumbo) were part of this front group that got an advantage of more than three minutes over the pack. With 16 kilometres to go, there was a crash in the peloton that affected riders like Laurens Ten Dam (Sunweb), Davide Formolo (Bora-hansgrohe) and Rafa Valls (Movistar). Meanwhile, the front group lost members as the last climb started. At 12 kilometres from the finish, Alessandro De Marchi (BMC) attacked from the front group and only Ben Hermans (Israel Cycling Academy) was able to stay at his wheel. Soon after, Henao attacked from the chasers and took Chaves with him and the duo joined the two men in front. By the six-kilometre mark, only seven riders remained in front while behind them the pack grew smaller. Soon after, Giulio Ciccone (Bardiani CSF) attacked from the front and created a gap, but was soon caught and surpassed by Chaves, who rode away by himself. Behind, in the reduced pack, Tom Dumoulin (Sunweb) set a higher rhythm, causing the group to break and leave behind riders like race leader Rohan Dennis (BMC) and Chris Froome (Sky), but both could soon rejoin them. With three kilometres to go, several attacks happened in the pack by riders like Miguel Angel Lopez (Astana) and Domenico Pozzovivo (Bahrain-Merida), that were too hard to follow by Dennis who was left behind. A group of favourites was created after the attacks, with riders like George Bennett (LottoNL-Jumbo), Thibaut Pinot (Groupama-FDJ), Simon Yates (Mitchelton-Scott), Dumoulin and Froome. At 1.5 kilometre from the finish line, Yates attacked from the reduced group, leaving the others behind. He soon caught Chaves and the two of them rode on to face the last meters together. The Colombian crossed the finish line followed by his teammate, making it a successful day for Mitchelton-Scott. Pinot arrived at the finish line in third position. Yates took the Pink Jersey and is followed in the GC by Dumoulin at 12 seconds and Chaves at 26 seconds.